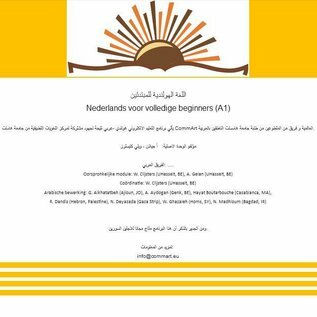 "Nederlands voor beginners الهولندية للمبتدئين بالكامل AR-NL (ERK-A1)" is an online e-learning module for tablet, PC, Mac and smartphone*, easy to access and available via our servers 24/7. The e-module, which is part of the series Lingu@Com, is suitable for complete self-study or semi-autonomous learning ( face-to-face or e-coaching). 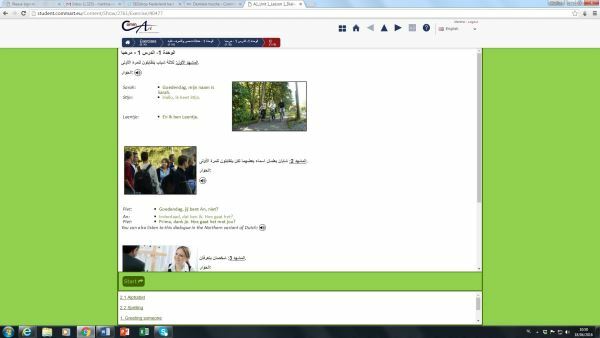 In this e-learning module, you will learn how to communicate in day-to-day Dutch at level A1 (absolute beginner) of the Common European Framework of Reference for Languages (CEFR). 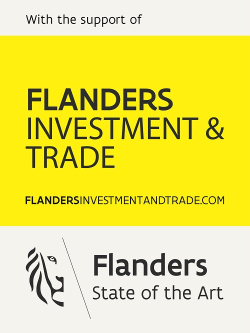 Along with the language, you will learn how the Flemings and Dutch live and communicate and how you yourself can easily make contacts in Flanders or the Netherlands. The contrastive approach is unique: not only are all statements and explanations given in Arabic, but you will also learn how to avoid the typical and persistent interference errors. 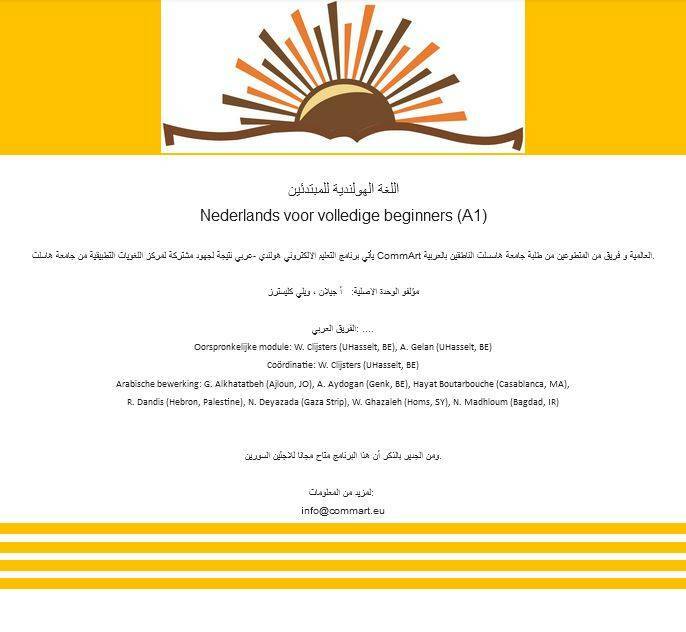 These are mistakes that are usually made due to the influence of the learner's mother tongue.